Bed & Breakfast Corte Dei Folletti is located just outside the medieval walls of Lucca. The hotel has a lovely garden with a small waterfall, perfect for spending time relaxing with friends. 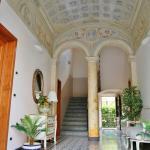 The B & B Al Porto di Lucca is an old residential building recently renovated located near the train station of Lucca. Walking short distances on foot you can reach the ancient city walls. 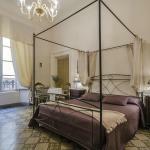 Hotel La Bohème is located in the heart of the medieval city of Lucca. With stunning views of the city, this hotel is located close to Piazza San Michele and the railway station is only minutes away on foot. 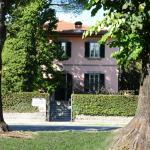 The Bed and Breakfast Antica Corte dei Principi stands in an excellent location in the centre of Lucca, a few steps from the cathedral and a short distance from the train station. 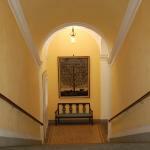 Dimora Lucense is a small intimate hotel located near the amphitheater in the historical centre of Lucca. Guests can avail of a convenient parking spot and enjoy wwonderful views over the city. 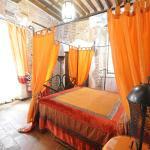 Leone di Sant'Anna is a charming B & B located in the historical centre of Lucca. 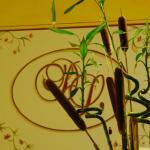 Located near the main street, with many restaurants and shops, it allows easy reach of the main sights of the city.